Did you know today is National S’Mores Day? We’re all over it! Close to our hearts and an awesome part of our history, s’mores are an extra special treat for Girl Scouts everywhere. 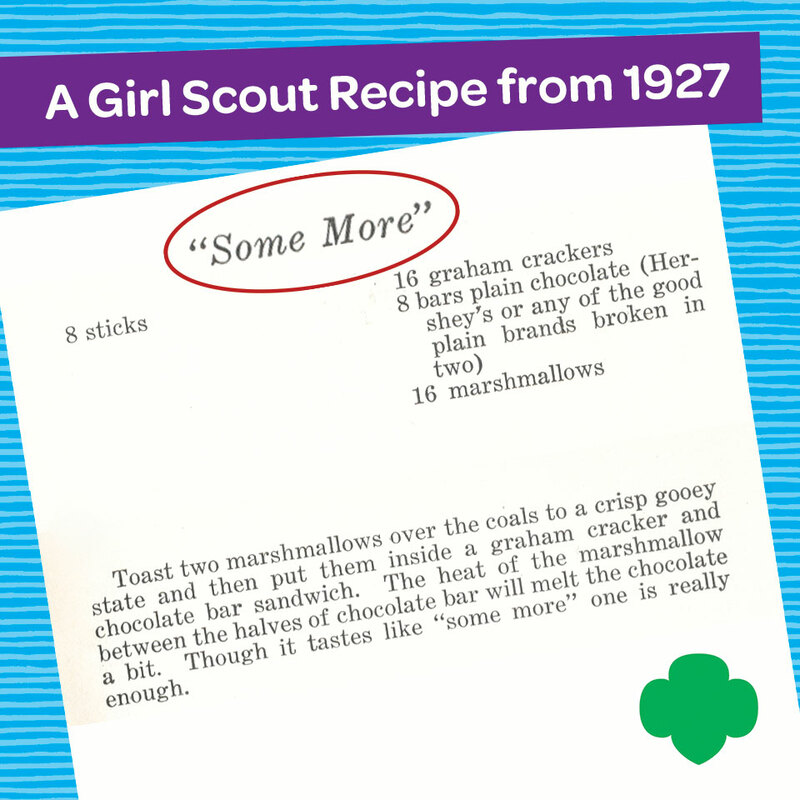 In fact, the first-known recorded version of a s’mores recipe can be found in an official Girl Scout publication from 1927. The recipe is credited to Loretta Scott Crew, a troop leader who reportedly made them by the campfire for Girl Scouts. In celebration of this scrumptious, ooey-gooey campfire favorite, and thanks to our wonderful friends at Taste of Home, now you can bring your love of s’mores to life in your own kitchen, with some fun and quirky twists on the classic treat. S’mores-inspired cheesecake, pie, bars, or ice cream, anyone? (Whoa!) 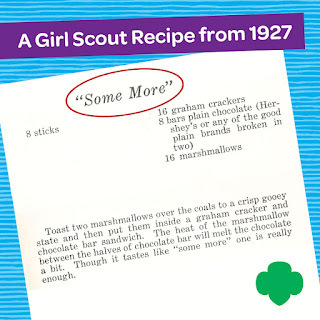 Learn more about Girl Scouts’ s’mores history, and check out some delicious recipes at: http://www.girlscouts.org/smores. And remember to share your cherished s’mores memories with us—and the world—on Facebook and Twitter using the #NationalSmoresDay hashtag!